A Minnesota woman has been charged with manslaughter after she shot and killed her boyfriend as part of the pair’s attempt to become YouTube celebrities. According to court documents, Monalisa Perez called 911 on June 26 at around 6:30pm local time to say that she had shot Pedro Ruiz III. The two had set up two video cameras to capture Perez firing the gun at Ruiz while he held a book in front of his chest. Ruiz apparently convinced Perez that the book would stop the bullet from a foot away. The gun, a Desert Eagle .50 caliber pistol, was not hindered by the book. Ruiz, who was found with a single gunshot in his chest, was pronounced dead at the scene. 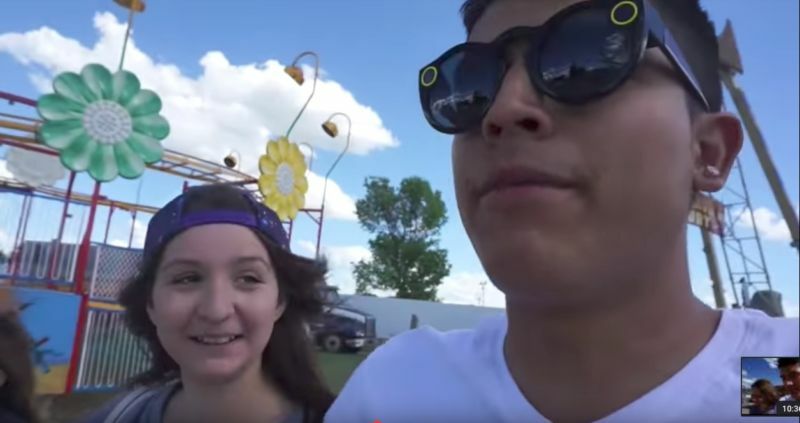 A video filmed the day before the shooting features Perez excitedly imagining what would happen when the couple reached 300,000 subscribers on their YouTube channel. According to a Star Tribune report citing a nearby television station in North Dakota, the shooting took place near the couple's home as their three-year-old daughter was nearby. An aunt of Ruiz, who was not named by WDAY-TV, was quoted as saying that she knew what they planned to do and that she tried to talk them out of it. The aunt said Ruiz replied, "'Because we want more viewers. We want to get famous.'" Perez, 19, was released on bail on Wednesday. She is pregnant with the couple's second child.